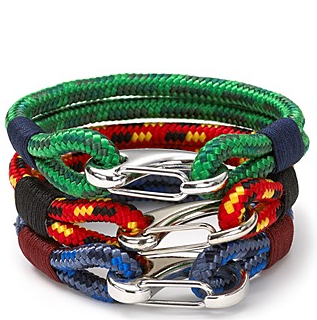 Remember last summer when we were all wearing friendship bracelets? They're still around, but they've also evolved into what looks like bungee cords. But instead of looking like something you use to keep your garbage cans closed, they look more substantial and, dare I say, luxurious. 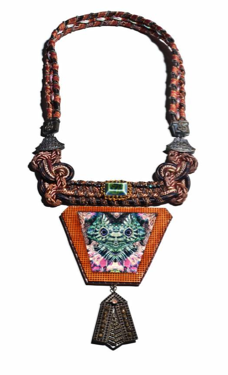 The most interesting options mix woven cords with fancier bits of hardware and rhinestones for a high-low look. Proenza Schouler is actually the inspiration for this entire post; their bungee-cord jewelry actually came out last season, so for spring-summer, it evolved into this incredibly luxe, Asian-inspired Iguana cord necklace. 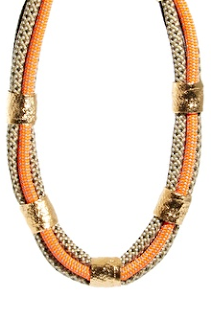 Yes, this is definitely a statement piece, and it's priced accordingly. 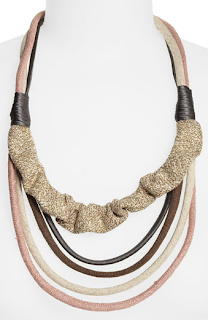 Orly Genger by Jaclyn Meyer is a limited-edition collaboration that uses bungee cords heavily, and this Neon Fossil style combines warm colors with brass bands, making it a very summer-friendly choice (it'll look amazing on tan skin). 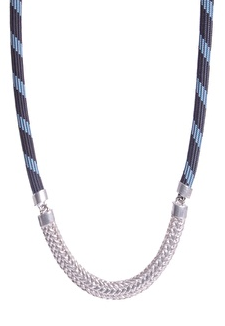 Here's another style by Orly Genger, the Concord necklace combines a thick silver rope chain with a more cool-toned bungee cord, and I like how each elements echoes the texture of the other. 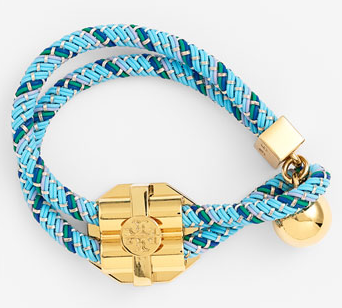 Leave it to Tory Burch to create a chic take on the trend. Her cord toggle bracelet comes in two bright color combinations, both finished with heavy, polished gold hardware and her ever-present logo. 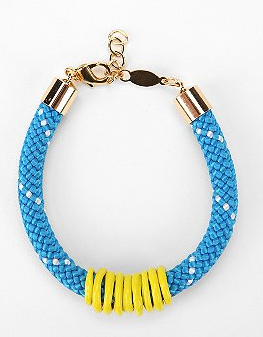 Sharouk's Loulou bracelet leans more toward the neon trend than the bungee cord, but it's close enough, and I like how the crystal details give it a super-glam look. 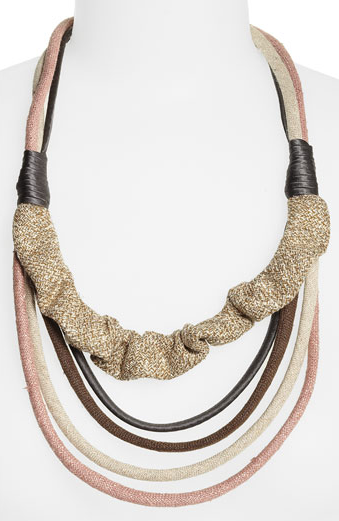 If all the colors are too much for you, this Matters of Space Katerina necklace is a muted, solid-colored take on the trend. What it loses in bright color, it makes up for with an interesting mix of textures. 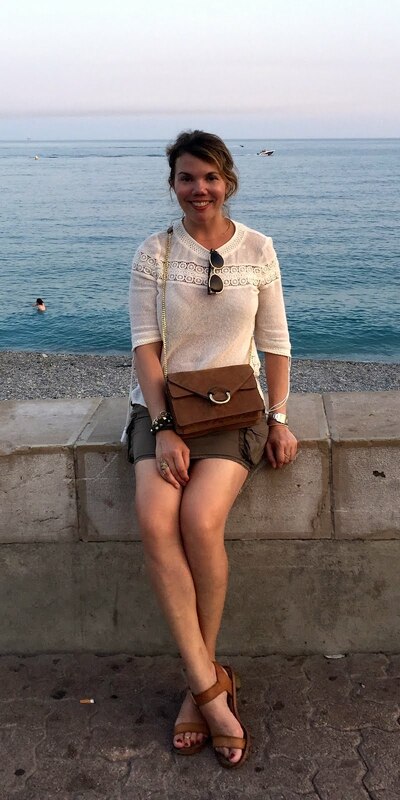 The lower you go in price, the simpler the design, however, this R.J. Graziano bracelet is one of my favorites—it looks like you just kind of found it and stuck it on your wrist, giving it a cool, carefree attitude. This A.V. Max bracelet (are A.V. Max and R.J. Graziano cousins?) is jazzed up a bit with some contrasting rings, and it has a more traditional, elegant clasp. 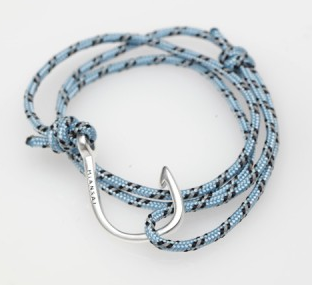 Need Supply Co. has a bunch of simple wrap bracelets by Miansai; the Hooked bracelet in sky is my favorite—there's something about the color that reminds me of summer, and the clasp looks like a fishing hook. This is exactly the type of bracelet you put on Memorial Day weekend and wear straight through to Labor Day.